I’ve always greatly admired those that aren’t afraid to have a little bit of fun with their interior styling. While I’m more on the neutral (predictably safe) side of style, I know plenty of people who are always on the lookout for something a little left of center to make a statement in a room – and we’ve found just the place! 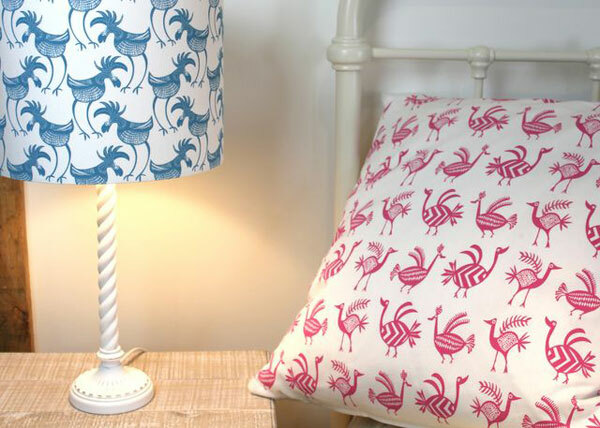 Zoe-Est Kids is an amazing showcase of screen printed homewares from uber cool lamp shades to terrific soft furnishings. The completely awesome ant print lamp shade will fit a table lamp or pendant ceiling fitting. Bird lovers will love the quirky feathery-headed blue Cyprus bird, rose red Aztec bird and the fun loving Pueblo bird prints. All Zoe-Est Kids cushions (starting at £29), beanbags (£59) and lamp shades (£39) are printed on pure panama cotton and screen printed by hand, resulting in a quality product the kids will adore. 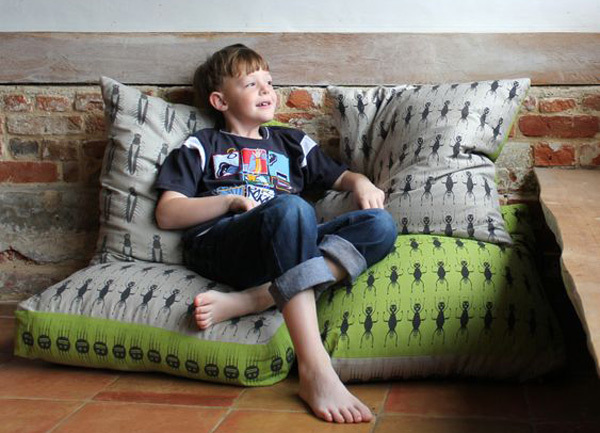 Ant, spider and bug prints are printed on linen and green coloured cotton while the birds look fabulous on white. Zoe-Est Kids even have artwork available to coordinate your soft furnishings – how cool! For ideas on how to mix and match these prints and for more fabulous products, head on over to Zoe-Est Kids.